Q1. Will I be asked to wear a brace for my Scoliosis? Q2. 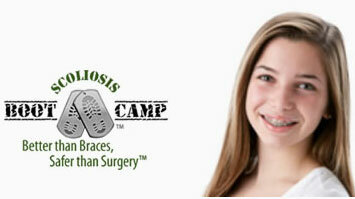 Why should I seek treatment for my scoliosis from a chiropractor that has a dedicated practice of scoliosis? What do they know about scoliosis that my regular D.C. doesn’t? Q3. Can my chiropractor treat my scoliosis? Q4. When should I start treatment for my scoliosis? Q5. There’s a lot of controversy about whether or not bracing works. 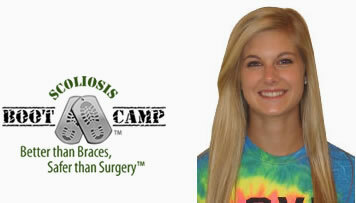 What is your opinion about treating scoliosis with a brace? Q6. 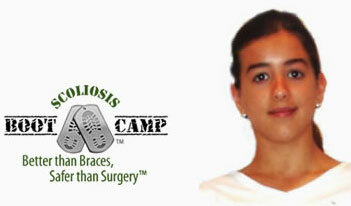 How much will the scoliosis treatment cost? Q7. My scoliosis is termed “idiopathic,” meaning the cause is unknown. Is it true that I inherited this condition from my mother? Q8. What is a Cobb Angle Measurement for scoliosis? Q9. What is meant by Adolescent Idiopathic Scoliosis (AIS)? Q10. What is a Scoliometer? Q11. My Cobb’s angle is over 30 degrees. Can you help me? Q12. Can you help people with severe scoliosis? Q14. Will Scoliosis treatment improve my balance? Q15. Define Scoliosis. What is scoliosis? Q16. Am I too old to obtain scoliosis treatment? Q17. How long will I require scoliosis treatment? Q18. Will my scoliosis get worse as I age? Q19. What are the effects of scoliosis? 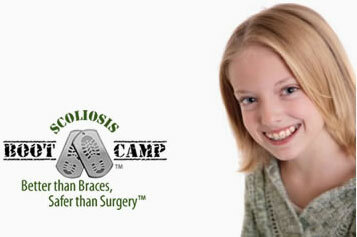 Answer: Our methodology of Scoliosis treatment does not rely on bracing. Answer: Typical chiropractic adjustments have been proven to be ineffective and sometimes even harmful to the scoliotic patient, due to the mobilization of fixated vertebrae by the adjustment. 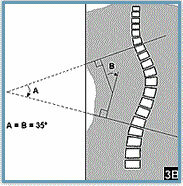 While this may cause pain relief in the short term, the long term result often is increased progression of the Cobb angle. We are not focused on relieving pain, although this is certainly the end result. We are committed to achieving structural changes to the spine that will allow the body to de-rotate and to correct itself, and they use specific, reproducible precision x-rays that are analyzed according to exact guidelines to measure and quantify the change. Answer: Your chiropractor can treat your scoliosis with the proper training and equipment. Answer: It is possible that you have been told that until the curves reach 20-25 degrees there is nothing you can do, except watch and wait (and, no doubt, worry). At 25 degrees, some form of bracing is typically recommended. If you have, or are nearing, a 40-50 degree curve, it is likely that surgery has been discussed with you and/or recommend. You can start addressing your scoliosis at any time, with any degree of curvature. It is never too late to start—and it is never too early. You can be proactive; you have options despite what you have been told. We think outside the box. 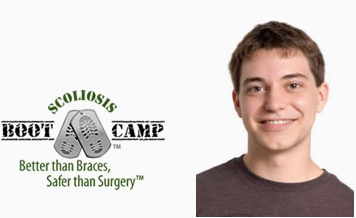 We take pride in challenging the protocol because we treat the condition of scoliosis fully, and achieve outstanding results from our innovative, non-invasive approach to reversing and correcting scoliosis. It’s never too late—and it’s never too early. Answer: The controversy over the effectiveness of bracing is somewhat misleading. 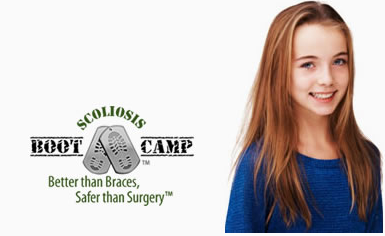 You will never find any doctor in the world claiming that bracing will reduce or correct scoliosis; rather, the debate is over whether or not wearing a brace will prevent the scoliosis from getting worse. When doctors state that bracing “works,” what they’re really saying is that it stabilizes the scoliosis, keeping it at its current position. Most doctors will insist that bracing does “work” – with proper compliance. Recommended compliance is twenty-three hours per day, every day. If this seems a little extreme to you, you’re not alone. Answer: A visit to a typical chiropractor might last ten minutes, and range between $35 and $50. We provide treatment & therapy that is significantly more time-intensive; one visit could be up to 5 hours. Additionally, a great deal of time & attention is devoted to your case, even when you are not in the clinic, to ensure that we can deliver on our promises. For this reason, our fees are higher. There are lots of places to save money; healthcare should not be one of them. Answer: You may have heard that researchers at the Texas Scottish Rite Hospital for Children recently discovered a gene associated with scoliosis. However, there are several flaws with the “gene theory” of disease. For instance, it has been universally recognized in recent years that attempting to attribute a genetic basis to any disease is an exercise in futility. While there may be such a thing as a genetic predisposition, the presence of a genetic marker for a specific disease is in no way a guarantee that the carrier will ever express that particular gene. An article featured in the July 2005 issue of Scientific American, entitled, “Identical Twins Exhibit Differences in Gene Expression,” is an appropriate confirmation of this concept. Even amongst identical twins, gene expression differs over one-third of the time! Scoliosis is the body’s natural and innate response to the loss of mechanical function provided by the normal curves of the spine. When these curves disappear, the body re-inserts them in another dimension. If scoliosis has a “cause,” then it can only be described as the laws of physics! It is easy to understand this concept of mechanical advantage for yourself. Find a heavy weight, about 10 to 20 pounds, and hold it in your hand for a while. If you have to support this weight for a long time, there is a natural position that the body will assume: your elbow will come close to your body, and your palm will be up, with your fingers facing towards you. This is very similar to how your spine supports the weight of your head with the curve in your neck. When you bend your hand forward & remove that curve from your wrist, your elbow will swing out to the side to replace the lost stability. This is very similar to what happens in your spine when the curve in your neck is lost; the body develops scoliosis because a straight spine is extremely unstable. Essentially, scoliosis is a biomechanical reaction to forward head posture & the loss of the curve in the neck, and develops due to pressure & interference on the nerves responsible for maintaining posture & symmetry during growth, which are concentrated in the neck. In conclusion, perhaps some people are more likely to develop scoliosis than others, but there is a still a reason why one person will and another will not. With scoliosis, just like with everything else, your environment determines which genes will become expressed and which will remain dormant. With the stability provided by the natural curves of the spine, there is no need for the body to develop & maintain a scoliosis. Answer: The severity of scoliosis is understood by measuring the degree of curvature in the spine. The technique used to capture this measurement is referred to as the Cobb Angle Measurement. The measurement is achieved when lines are drawn across specific areas of the x-ray to evaluate the curves in the spine. On the x-ray, the first and last vertebra involved in the curve are identified. Then, a line is drawn across the top (superior) plate of the first vertebra involved in the curve and a second line is drawn across the bottom (inferior) plate of the last vertebra in the curve. The angle between the two lines is measured, and it is this reading that is referred to as the Cobb Angle Measurement. While the Cobb angle is a standard and useful assessment tool for scoliosis, it does not evaluate every aspect of the spine’s condition. Rotation of the spine and spinal balance are not addressed with Cobb Angle Measurements, and therefore, the degree of spinal deformity may not be entirely appreciated with this measurement alone. We are trained to address the scoliosis condition by measuring and assessing your condition fully, taking these and other elements into consideration before any treatment begins. Answer: AIS is how your child’s scoliosis may be categorized. Idiopathic simply refers to the fact that there is no known cause, such as an injury, that led to the curvature in your child’s spine. Adolescent Idiopathic Scoliosis, therefore, is just another way of saying that the scoliosis first occurred at or near puberty, for no apparent reason. Answer: Scoliometer is a proprietary name for a device used to measure the amount of curvature in a person’s spine. Answer: Yes. 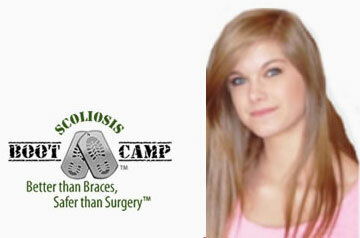 We have had very good success in treating scoliosis in patients with Cobb’s angles over 30 degrees. Answer: We have achieved reductions even in Cobb angles over 90 degrees. However, reversing the course of any disease in its advanced stages is always more difficult, and scoliosis is no exception. Stabilizing & correcting a 20 degree Cobb angle might take a month or two; correcting a 40 degree Cobb angle completely could take a year, or longer. As the Cobb angle increases, the time & effort required increases exponentially. Q13. Why do you recommend avoiding fusion surgery? Answer: Surgery will not correct the posterior rib arch; additionally, it has been shown that the function of the heart and lungs is unchanged after the procedure. Furthermore, the long-term effects of this procedure can actually be worse than the effects of living with an untreated scoliosis. Motion is essential for proper functioning of the spine, and surgery reduces spinal ranges of motion, even in un-fused areas. Medical science views the spine as a bridge, connecting the head and the pelvis. If a bridge begins to collapse, the best thing to do is go in and start fusing the components together. However, chiropractors see the spine as an engine, which must move freely to achieve optimum function. If the engine in your car starts to run funny, and you have a mechanic fuse some of the cylinders together, this might not solve the problem! Many healthcare professionals are not aware of the scientific literature that details the negative side effects of the procedure. Also, very little follow-up with the patient is performed after the operation. Many surgeons believe that the surgeries they perform are beneficial to the patient because no one has returned to their office after the operation to inform them otherwise. Doctors are desperate to meet their patients’ demands for treatment of their scoliosis, but have no options besides prescribing bracing (which, at best, only slows or stops progression, and at worst, actually worsens the scoliosis by weakening the postural muscles), or performing the surgery. It is important to mention at this point that we are not attempting to disparage the efforts of the medical profession in regards to scoliosis treatment. 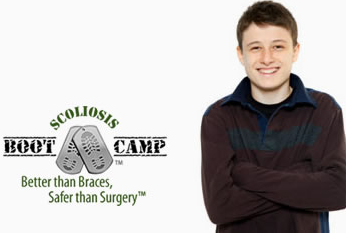 There are thousands of excellent surgeons who are seeking only to help people with scoliosis, and several orthopedic surgeons and medical physicians have been incredibly supportive of our method of non-surgical scoliosis correction. It is our sincere belief that eradicating scoliosis from our planet will require the combined efforts of every member of the healthcare profession. As doctors, it is our responsibility to work together for the benefit of our patients. Answer: Yes. Correcting scoliosis begins with correcting the cervical (neck) part of the spine, specifically, by restoring the normal curvature of the neck. 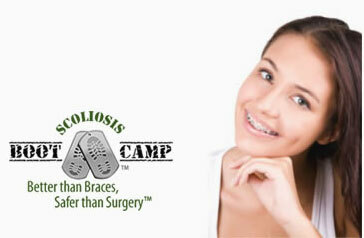 In most cases of scoliosis, there is loss of curve or reverse curve in the neck. When normal curvature and structure are restored in this area of the spine, the brain is able to communicate more effectively to the rest of the body. As a result, balance and coordination are also improved. Answer: Scoliosis is an abnormal curvature of the spine that often causes the spine to look like the letter “S” or the letter “C”. These abnormal curves in the spine affect the middle of the back (the thoracic region), and the lower back (the lumbar region). The neck is also likely to lack its natural curve, affecting the balance and posture of the entire body. Answer: One patient, Marvin, was 82 years young when he received treatment. Answer: Treatment duration will depend on the location and severity of the Scoliosis. Answer: For a long time, doctors told patients that their scoliosis would not progress after the age of 18; unfortunately, research has proven otherwise. 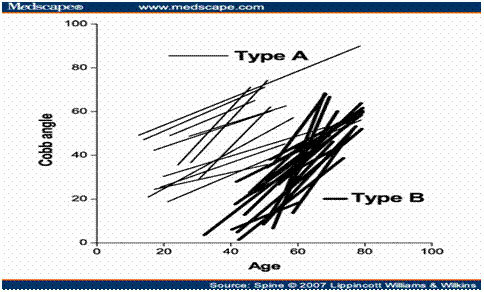 Whether scoliosis develops earlier in life (Type A) or in adulthood (Type B), it will most likely progress; the only question is how fast. Additional studies have shown that as the Cobb angle increases, the amount of chronic pain goes up, and the ranges of motion & the quality of life goes down. Answer: Scoliosis is not always associated with pain, although it commonly may be. Even in people without pain, however, the function of the heart & lungs is compromised. 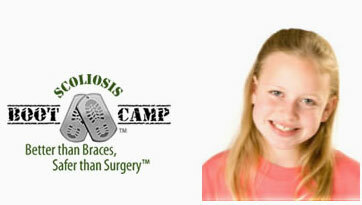 According to the National Scoliosis Foundation, scoliosis is associated with reduced life expectancy. On the average, people with scoliosis suffer a 14-year reduction in their life expectancy due to the strain upon the heart & the reduced amount of oxygen supplied to the body. Scoliosis is also associated with headaches, shortness of breath, digestive problems, chronic disease, and hip, knee, & leg pain.